Get Back to Life with Regenerative Medicine! 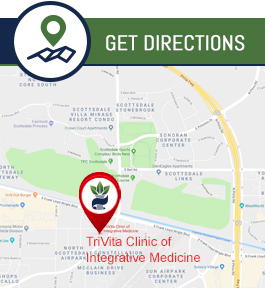 Please Give Us a Call Today at (480) 725-4474 to Learn More About PRP Therapy, Stem Cells, and Other Regenerative Medicine Treatments TriVita Clinic Has to Offer. Regenerative medicine uses your cells and growth factors to help improve symptoms of debilitating conditions involving bones, joints and other connective tissues. Routinely used by professional athletes, stem cell therapy is suggested to be safer than cortisone injections. Regenerative medicine utilizes your growth factors to promote natural healing, stimulate repair and potentially restore pre-injury function with surgery. Platelet Rich Plasma from Blood (PRP): PRP consists of extracting concentrated platelets and other regenerative growth factors from your blood. Alpha 2 Macroglobulin (A2M): A2M is a specialized protein found in the blood known as a protease inhibitor. This powerful protein is an anti-inflammatory cellular messenger, and A2M therapy can yield immediate improvement in pain. Mesenchymal Cells from Bone Marrow: Bone marrow is an excellent source of regenerative mesenchymal stem cells. The aspirated material is extracted from the iliac crest of your hip bone. Growth factors are protein molecules found naturally in the body that serve as chemical messengers that communicate with cells. These molecules promote growth, repair and increase blood flow while preventing premature cellular death. The blood draw and injection procedure are conveniently performed same-day in our office. On the day of the procedure, a simple venipuncture blood draw is, and the regenerative material is concentrated using a centrifuge. The injection site is then sterilized and local anesthesia is applied to the treatment site. Using a small gauge syringe, the medical provider will introduce concentrated regenerative material into the treatment area under guided ultrasound. Post-procedure instructions are provided, and additional pain medications may be prescribed as necessary. This procedure is typically completed in less than 10 minutes. In addition to PRP, A2M and mesenchymal procedures, we offer many support treatments and therapies pre and post-procedure to maximize cellular potential and patient outcomes. We provide nutritional counseling, IV nutrition, hormonal support, peptide therapy, PEMF and many other support services. We believe that when the body has what it needs, it can maximize the regenerative treatment by improving homeostasis. Concentrated growth factors and other healing mediators are applied to the affected area. Once the regenerative material is provided to the site, a series of bioactive processes take place causing natural tissue repair. This process continues for weeks after a single application to the affected site. Patients generally see improvement in pain and mobility within 4-6 weeks. Improvements will continue for up to 6 months. Most patients who receive regenerative procedures show improvement with one treatment. In some cases patients may have to receive multiple treatments for significant defects or complex pathologies. Many patients can avoid invasive procedures when using regenerative medicine. As with any medical procedure, there are risks. Your medical provider will discuss potential side effects and answer questions you have before the procedure. Post the procedure, patients may experience temporary soreness, distension, itching, discoloration, bruising or tenderness.